The documentary Inventing to Nowhere boils a series of complex questions down into one: Why are we allowing companies that stifle innovation to dictate our country’s innovation strategy? For over 200 years this language, and the patent laws resulting therefrom, have promoted innovation in this country, by rewarding and protecting inventors for the invaluable work that they do. From its very beginning, through the industrial revolution and beyond, the United States has led the world in innovation. The film details how constitutional protections and new strong patent laws put inventors first and fueled innovation. This innovation transformed a country drowning in Revolutionary War debt into world leader, driving the industrial revolution and a global technological transformation. The unique protections these laws afforded American inventors led to world-changing innovations, including the telegraph, the sewing machine, the light bulb, the electric motor, the cotton gin, the airplane and many others. The impetus for the United States’ past global technological leadership stemmed from our forward-thinking approach to protecting inventors. Laws that protect inventors, stimulate inventors to innovate. Conversely, laws that do not protect inventors, discourage inventors from innovating, by allowing moribund companies to steal inventions without having to invest time or money in innovation themselves. Therefore, the basic premise of our patent system is that in return for disclosing all of the details about your invention, the government will grant you, for a limited period of time, a monopoly on making, using, and selling your invention. This quid pro quo is what motivates inventors to dedicate their lives to create all of the things that make our lives better. Without patents, large companies would wait for inventors to invent, and then simply steal the idea and sell it themselves. This would obviously undermine the motivation to innovate, and would cause at least some inventors to stop inventing. The very first law in our country, the Constitution, still includes protections for inventors. This one clause has spawned thousands of additional laws and regulations governing how we protect our inventors. Despite being radical in their approach to aggressively protecting inventors, these laws have proven to be quite prescient. The laws include many provisions designed specifically to protect small inventors from larger, less innovative, more powerful, competitors. One such innovation is the provision that grants inventors not only the damages they can prove a competitor caused by stealing their patented invention, but triple that amount, it they can prove the competitor was willful in its infringement. This “treble damages” provision encourages small inventors to sue larger infringers, while discouraging larger infringers from infringing patents in the first place. These laws have worked well at protecting inventors and encouraging innovation for the past two centuries. Now place yourself in the position of a well-established widget manufacturer in a well-established widget market. Barriers to entry are high, which keeps out competitors and allows you to make higher profits on each widget. The only thing you have to worry about is a smaller competitor inventing a better, smaller, faster, cheaper widget. What is a lazy company to do? It could invest in innovation itself, but that strategy has at least two drawbacks. First, research and development requires dedication of a lot of time and money toward something that may not even pan out. Second, since innovation involves more than a little luck, there is no guarantee such efforts at innovation will be more successful than those of a smaller upstart. While investing in innovation is great for this country, consumers, and inventors, it may not be so great for lazy companies that thrive on the status quo. An alternative to investing in innovation, is to stifle innovation by paying lawmakers to make laws that hurt inventors. While this strategy can be very efficient in eliminating competition, it can be a tough sell to consumers, especially since these laws can leave consumers stuck paying more money for less innovative products. And since many consumers are also voters, pitching innovation stifling legislation to lawmakers can also be an uphill battle. To overcome this obvious public relations problem lazy companies needed a villain to justify their call for new innovation stifling laws. 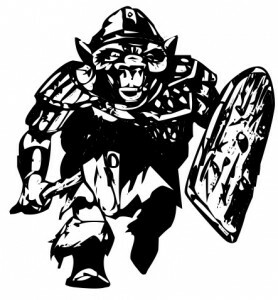 Enter the patent troll. A patent troll is a company that does no innovation on its own. It does not make, use, or sell anything. Its only purpose is to buy patents and sue, or at least threaten to sue, other businesses that actually do make, use, or sell something. Patent trolls rely on the high cost of patent litigation (usually $2 Million dollars per side) and low royalty demands to build their war chest. By steering clear of deep-pocketed infringers, patent trolls churn lucrative profits with little effort. The key to being a successful Patent Troll is to convince the accused infringer that a lawsuit will be filed. Even if the accused infringer were to fight the lawsuit and win, there is very little likelihood that the accused infringer will ever recoup the huge attorney fees spent in its defense. Since the license fees the patent troll demands are less than the cost of even successfully defending a lawsuit, smaller companies often agree to pay the license fee. The worst part is that the patent troll then uses this payment to buy more patents and pursue more companies. Patent trolls are a bad thing. They do not create anything and they stifle innovation. The problem is how do you pass a law that differentiates the very large number of legitimate small inventors trying to protect their inventions, from the very small number of patent trolls trying to game the system. The great thing is, at least from a lazy company’s standpoint, you do not have to. Simply convince people how bad patent trolls are, and then convince lawmakers to pass laws that cripple patent trolls. To you, the fact that resulting laws like the “Leahy-Smith America Invents Act,” (AIA) also cripple legitimate small inventors is a feature, not a bug. To a company that sees any innovation as a threat to its continued ability to sell old technology at high prices, crippling everyone with a patent is a great idea. While passing laws like the AIA may stop some patent trolls in the short term, in the long term, its effects on small inventors may be catastrophic. By undermining patents, by encouraging inventors not to file patents, by it making harder for small inventors to get and enforce their patents, and by adding uncertainty to the entire United States patent system, the AIA punishes innovation and rewards the status quo. Lawws like the AIA make would-be small inventors, who see the costs of getting a patent going up, the odds of getting a patent going down, the cost of enforcing a patent going way up, and the enforceability of patents becoming more and more unpredictable, less likely to leave their current jobs and devote their time to innovation. And even those dedicated inventors still willing to take a chance on themselves will find potential investors more difficult to find. Consider that a patent an investor invests in may have a market valuation of $1,000,000 upon issuance. Now consider that single new patent law can cut that valuation in half, or even bring the valuation all of the way to zero. Investors are therefore less likely to invest in assets that a competitor is capable of decimating with a well-placed campaign contribution to the right lawmaker. While investors can factor in the increased costs and decreased likelihood of getting a patent, evaluating the increasing uncertainty resulting from laws like the AIA, is difficult. This uncertainty makes investors more likely to bypass small investors all together, in favor of less volatile ventures. While laws like the AIA, that hurt small inventors, may not hurt innovation in the short term, by elimination inventors in the long term, these anti-innovative laws cannot help but to hasten our downfall from our former position as leader in global innovation. Unfortunately, by the time anyone realizes this, it may be too late. So what is the film’s answer to dealing with patent trolls? The film’s companion website suggests a four-pronged approach. First, improve patent quality. Preventing bad patents from issuing in the first place makes fewer bad patents available for patent trolls to acquire. Since patent trolls do not invent anything themselves, drying up the bad patents dries up the patent trolls. Ways to improve patent quality include: 1) fully funding the United States Patent and Trademark Office (USPTO) by allowing the USPTO to retain all of its user fees; 2) investing in additional human and other resources at the USPTO; and 3) and paying patent examiners based upon the quality, rather than the quantity, of the patents they grant. Second, enhance certainty in the patent system. In the case of patents certainty is often preferable to perfection. While our patent system is not perfect, if encouraging global innovation is the metric, since as far back as 1790, our system has been working pretty well. Changing our patent laws runs the unnecessary risk not only of unintended consequences, but of also increasing the uncertainty associated with our patent system. Third, preserve market-based valuations associated with patents. As the uncertainty about the future direction of our patent system increases, the risk associated with the future enforceability of patents also increases, causing the present value of patents to decrease. It is simply not fair to change our country’s 200 year contract with inventors mid-stream. We need to preserve the value of patents promised to inventors that encouraged them to innovate in the first place. Fourth, we need to focus on legislation that discourages litigation abuse, by both patent owners and accused infringers. By narrowly focusing on the precise problem, we can curtail the problem without punishing innovators. Awarding attorney fees for successfully fighting off patent trolls is a good start with few negative externalities. It is possible to address the problem of patent trolls without punishing small inventors. The key is not allowing large anti-innovation companies and their associated campaign contributions to dictate the solution, a solution which, while great for patent attorneys, is not only bad for inventors and consumers, but bad for the future of our country.